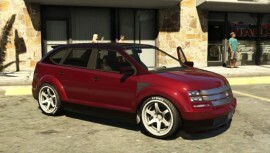 The Vapid Radius is an SUV in GTA 5 and GTA Online. 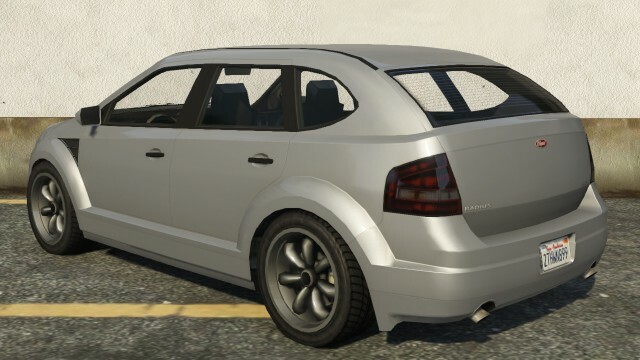 The Vapid Radius is heavily based on both the 2011 Ford Edge and late model Dodge Caliber. However, the rear lacks the rear-mounted license plate that the Edge has in the middle. Although the Vapid Radius bears resemblance from both American cars, it’s rear-end seems to be based upon the Spanish Seat Toledo. The frontal area is dominated mostly by the chrome grill with the central mounted Vapid logo, and with the grille continuing until the end of the frontal area, where it splits the headlamps. 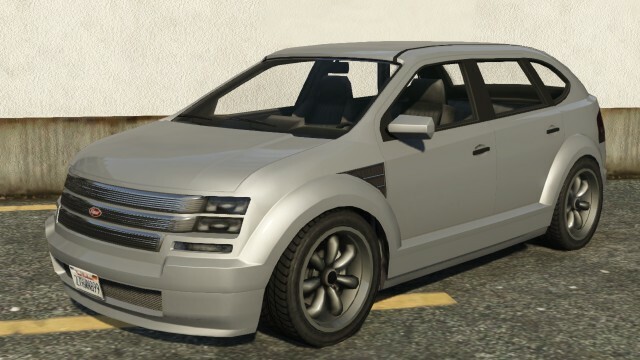 The Vapid Radius is available with 2-tone paint jobs at Los Santos Customs. The side of the car features a triangular air intake at the top of the front wheel wells. The wheel wells bulge outwards, and the side has no character lines, so the side design is plain. The Vapid Radius has a high output V6 coupled with a 6 speed gearbox. It also sports active AWD, which in turn gives it excellent acceleration. The Radius sits very low to the ground and has a decently stiff suspension giving it sporty handling for an SUV. This car is a good example of a sleeper, being underwhelming on the exterior but having really good performance on the road. 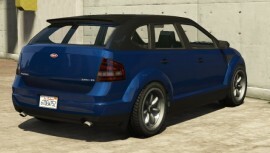 With a few tuning parts, it can compete with sportier cars like the Karin Sultan and Dinka Blista. 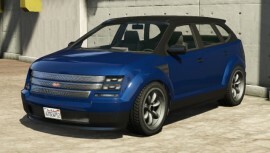 In GTA 5, This car shares the same rim design with the Bravado Gauntlet. At the car spot in a loading zone across the road from the Oriental Theater in Vinewood. Spawns on the side of a road, along with a Surfer in Blaine County. 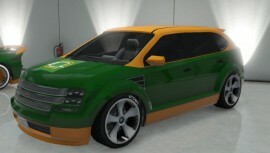 Available for sale on the Southernsanandreassuperautos.com site in multiplayer after the Business Update has been installed. In Grand Theft Auto Online, Vapid Radius sells for $3,200 in Los Santos Customs.